Lester Graham interviews Marc Norman on ways to make our cities more affordable, income inequality, NIMBYism and other topics. The full interview can be found at this link. Very happy to announce my appointment to the Federal Reserve’s Community Advisory Council. The role is to advise, inform and make recommendations to the Federal Reserve Board. A press release can be found here. Associate Professor of Practice in Urban and Regional Planning Marc Norman has been invited to the Joint Center For Housing Studies of Harvard University (JCHS) on April 13, 2018 for a panel discussion. The discussion will be part of an event called “Reframing Housing Development: How Changes in Design, Construction, and Regulation Could Reduce the Cost of Housing.” Professor Norman will be in the final panel discussion of the day, “Putting it all together: Reflections on the Afternoon,” which will combine ideas from the three previous topics–building design, construction innovation, and regulatory and political obstacles. More information can be found here. Associate Professor of Practice in Urban and Regional Planning Marc Norman has been invited to moderate a panel discussion at the Center for Architecture on March 20, 2018. The panel discussion “Affordable Housing in North America” includes principals from three leading American architecture firms. Norman and the others will discuss how architects work with local conditions to tackle the growing need for well-designed affordable housing. This event will be held at the Center for Architecture in New York City and organized by the AIA New York. More information can be found here. In conversation with Nadine Maleh, Executive Director, Institute for Public Architecture, Marc Norman, University of Michigan/Ideas and Action, Jared Della Valle, Founder, Alloy Development and Anika Singh Lemar, Clinical Associate Professor of Law, Yale Law School among others discuss sharing platforms and how to resolve urgent social housing issues. The prompt? 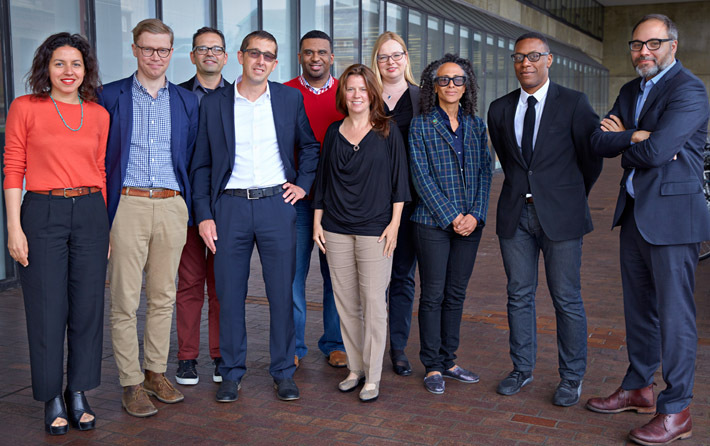 How can we better share the resources of our cities to create a diverse and equitable future? Marc Norman to serve on the Shaker Design Competition jury. This important competition involves real sites in Shaker Heights, Ohio and was created in an effort to reimagine and develop housing in an inner ring suburb. Click for more information. Led by James Dart of the New Orleans-based design firm DARCH with Deborah Gans, LoriAnn Girvan, and Marc Norman. 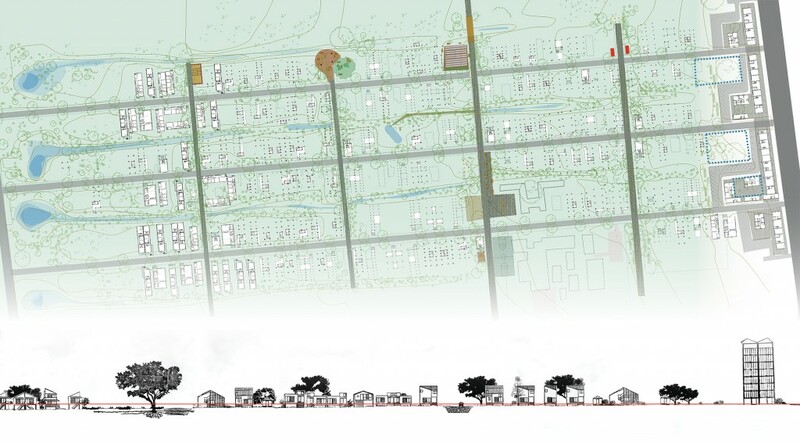 Team PaD will explore policy as a design tool, considering alternative property, development, legal, and fiscal structures to reconsider the city’s established design policies in the context of its collective post-Katrina capital of ideas. MAYOR MARTIN J. WALSH, an accomplished advocate for working people and a proud product of the City of Boston, was sworn in as the City’s 54th Mayor on January 6, 2014. With a commitment to community, equality and opportunity for every neighborhood, Mayor Walsh is a champion for civil rights and a vocal early advocate for marriage equality, which he calls his proudest vote ever as a state lawmaker. A resident of Dorchester, Mayor Walsh has a strong record in support people of color, immigrants, seniors and all Bostonians. After decades of urban disinvestment, communities across the country are beginning to grapple with the opposite swing of the pendulum – enormous flows of capital into low and middle-income communities. From construction cranes and condo conversions to foreclosed homes and imminent displacement, inequality, racial disparity, and environmental injustice are being knit into the urban fabric raising urgent questions about the possibility of achieving equity. 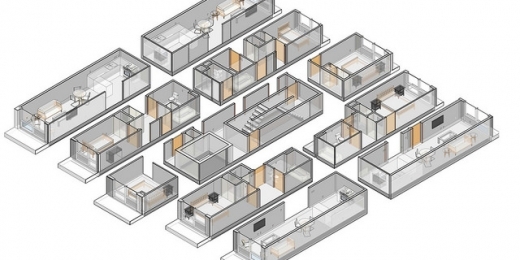 How can design build a more just city? The Keynote Panel continues the Old South Meeting House’s tradition of civic debate and discourse. Moderated by Nigel Jacobs, co-chair of the Mayor’s Office of New Urban Mechanics, the panel will address how innovation in architecture, planning, participation and public policy can be part of the solution to inequity and injustice. THERESA HWANG, Rose Fellow 2009-2012, worked with Skid Row Housing Trust (SHRT), which “partners with both emerging and well established architects to bring beauty and positive attention to often neglected populations and portions of the city.” She graduated with a Master of Architecture from the Harvard Graduate School of Design in 2007. Theresa is currently an adjunct Assistant Professor at Woodbury University and has stayed on as an architect at Skid Row Housing Trust and leads their community-engaged design projects. RICK LOWE, MacArthur Fellow 2014, is an artist whose unconventional approach to community revitalization has transformed a long-neglected neighborhood in Houston into a visionary public art project that continues to evolve, two decades since its inception. Originally trained as a painter, Lowe shifted the focus of his artistic practice in the early 1990s in order to address more directly the pressing social, economic, and cultural needs of his community. With a group of fellow artists, he organized the purchase and restoration of a block and a half of derelict properties—twenty-two shotgun houses from the 1930s—in Houston’s predominantly African American Third Ward and turned them into Project Row Houses (PRH), an unusual amalgam of arts venue and community support center. Join the Bruner Foundation, sponsor of the Rudy Bruner Award for Urban Excellence, for a moderated panel discussion that considers these questions. We will hear from people working in communities, nonprofits and the public sector, and learn about the challenges and opportunities they encounter. We will highlight examples of initiatives that are addressing urban equity via the built environment, and consider the role of the design profession in developing new ideas and approaches. Imagining America: Artists and Scholars in Public Life announces a new initiative, the Commission on Publicly Engaged Design (CoPED). The commission is co-chaired by James Fathers, Professor and Iris Magidson Endowed Chair of Design at Syracuse University, and Marc Norman, the 2014–15 Loeb Fellow at the Harvard University Graduate School of Design. The purpose of CoPED is to ascertain the leading edges of publicly engaged design, and develop an agenda regarding what IA can do to leverage our 100 plus institution member consortium to maximize breakthroughs and innovations, but to also meet continuing challenges and barriers. Friday, August 22, 2014, 6:00 – 10:00pm. Join us for a presentation by the two winners of the Lowering the Cost of Housing Competition, an effort to support and highlight new approaches to achieving high-quality, lower-cost affordable housing for diverse populations. Hear from members of the Bayside Anchor team, of Portland, Maine, and the ACDDC team of Austin, Texas, who will discuss their winning proposals. The presentation will be followed by a question-and-answer period. From October 4th to October 6th, 2013, Imagining America will hold its annual conference in Syracuse, New York. Syracuse, New York. Imagining America (IA) is an organization grounded in scholarship and creative practice, looking to translate the best thinking and creation into actions. Whether exploring how arts contribute to community development, recognizing the wealth of knowledge produced through partnerships bringing together community and campus stakeholders, or making it possible for a faculty member’s public scholarship to “count” when he or she comes up for tenure and promotion, IA is committed to higher education as an active agent for the public good. A consortium of 90 colleges and universities, and their partners, IA emphasizes the possibilities of humanities, arts, and design in knowledge-generating initiatives. Such activity can span disciplines through collaborations with public health, environmental issues, community education, neighborhood development, and others. We also value the knowledge and creativity-generating components of partnerships among people whose everyday lives produce different kinds of expertise. So the scholar in the library, the teacher in the classroom, the organizer in the community – each provides different expertise that together is greater than the sum of its parts. Visit Imagining America online for a detailed schedule of the events. Planning for the second Design Futures Public Interest Design (PID) Student Leadership Forum has begun! 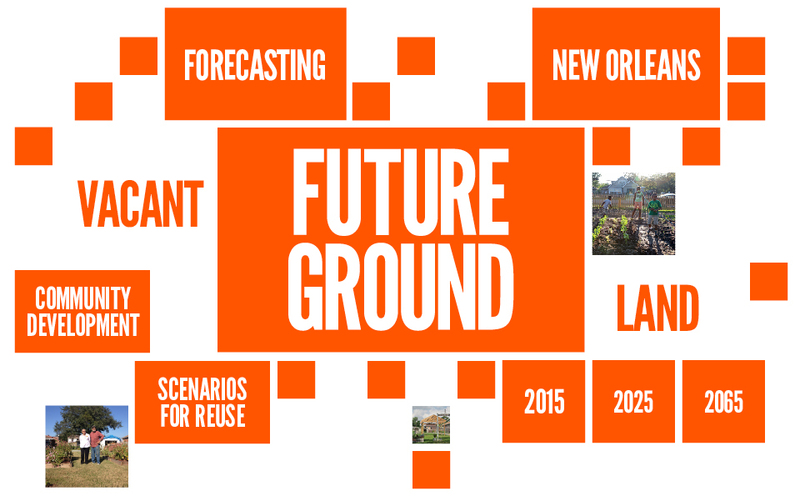 Following the inaugural Design Futures Forum held at the University of Texas at Austin in 2013, the Tulane School of Architecture, will host the next forum in New Orleans on June 3-7 of 2014. Visit More Information to join or learn about Design Futures online for a detailed schedule of the events. 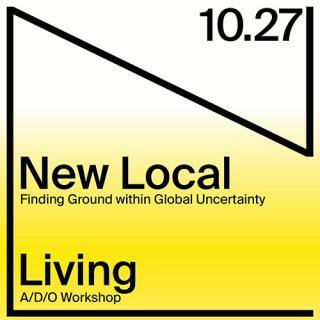 From November 7 and 8, 2013, This fall the Bruner Loeb Forum, in partnership with J. Max Bond Center on Design for the Just City, The City College of New York Spitzer School of Architecture, The American Assembly at Columbia University and the Detroit Collaborative Design Center will host a two-day workshop in Detroit, Michigan to share best practices, learn from failed implementation and brainstorm new innovations in design and development that address the common issues of chronic population loss and excessive land vacancy in the rustbelt cities of Southeast Michigan, Northeast Ohio and Upstate New York. This will be the first convening of its kind that brings together change agents from these three regions to collaborate and network around the specifically around the design interventions that are regenerating their cities and communities. The forum will bring together urban designers and planners, landscape architects, architects, entrepreneurs, community leaders, tactical urbanists, public officials, nonprofits, philanthropy, policy makers and developers to share, discuss and generate progressive design ideas and strategies repurposing land into sustainable urban neighborhoods and infrastructure. Visit Bruner Loeb online for a detailed schedule of the events. This is the first of several “Newsmakers” programs Dan is planning, exploring various opinions and options for the I-81 viaduct.